To download the full information sheet, click here. Who is responsible for my bills? The dog’s “owner, harborer or keeper” may be held liable for any injuries and damages stemming from a dog attack. A “harborer” is a person who controls the area where a dog lives – Ex: If a man owns a dog, but lives in his parent’s home, the parents are “harborers”. A “keeper” is a person who maintains control, even temporarily, over the dog – Ex: A dog walker walking a dog for a customer is a “keeper”. In limited circumstances, a landlord might be liable for an attack that happens at a rental property. You have the opportunity to be compensated for present and future medical bills, lost wages, pain and suffering, damaged property and permanency (scarring or disfigurement). Valuing a dog attack injury requires detailed analysis of several factors. Special Damages recoup damage to property, lost wages and medical bills. General Damages are more complex, and include scarring, disfigurement and pain/suffering. Location of the injuries on the body, the city/county the attack took place in and the insurance company are all included in the analysis. The best way to receive the most value for your claim is to speak with an attorney who has experience in this area of law. How long do I have to resolve my dog attack claim? 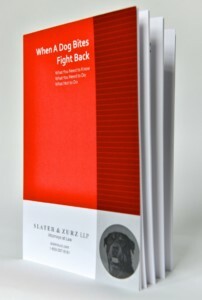 A lawsuit for personal injury must be filed, or the claim must be resolved within 2 (two) years after the attack took place. The dog owner is a neighbor or friend, will I offend them? 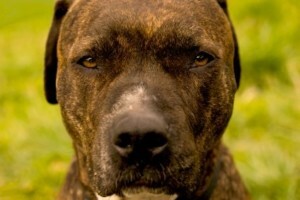 A common misconception among dog attack victims is that if they proceed with a claim, they are “suing” the dog owner. In most instances, that is not the case; you are filing a claim with their homeowner’s insurance. Most homeowner’s insurance policies contain liability coverage to protect against events like dog attacks. After a claim has been filed, the dog owner is almost completely removed from the equation – all claim discussion and negotiation occurs with the insurance adjuster. First, seek medical treatment immediately – injuries caused by dogs have an increased chance for infection, so it is important to immediately receive medical care. Next, document the attack as much as possible – take photographs of your injuries, contact the local dog warden, police department and health department as soon as practicable. Create a log containing details of the attack: the dog owner’s name and address, date and time of the attack, days you missed from work, amount of money paid out of pocket and each medical provider you visit. Finally, contact an experienced attorney quickly to ensure you case is properly established. What will be done about the dog after I report the attack? Citations and what will happen to the dog are up to the local health department and authorities. The action taken against the dog and the owner depends on the city/county in which the attack took place. You can suggest that additional action be taken when creating a report with the authorities, but the decision is made with the police department, local prosecutor, dog warden and health department. 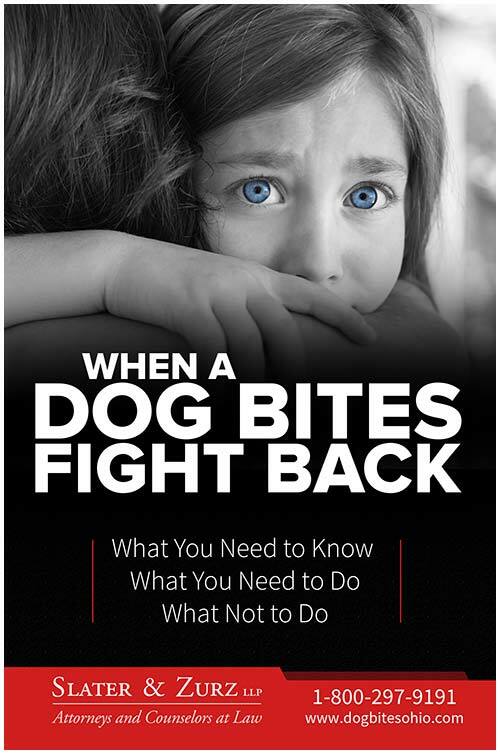 Learn more about what to do and what not to do after a dog attack by reading our free book: When a Dog Bites, Fight Back. To read the book online, click here. To order your free copy, please call us at 1-800-297-9191, email us at [email protected] or request your copy online. To immediately speak with an attorney with extensive experience throughout Ohio helping victims of dog attacks; please call our Dog Bite Hotline at 1-888-998-9101.